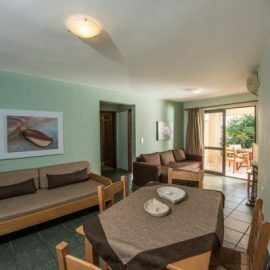 Mirtilos Studios & Apartments consist of 35 rooms in 6 different room types! Choose yours now! Mirtilos Hotel location provides travelers a unique experience and the chance to visit the most beautiful-famous places in Crete. We came on Oct 5th and this place is just amazing. 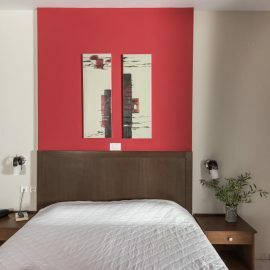 Rooms were clean, each day they cleaned again, silent, big rooms and very beautiful in a good price. We are very recommend to couples and families to visit! 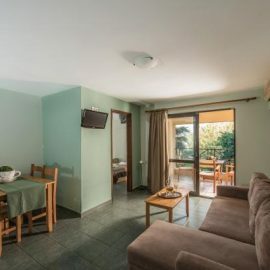 We had an amazing time staying at mirtilos studios and apartments, the staff are so friendly and helpful giving you advice on where to go and how to get to the beaches and lagoon that are a bit further out. The surrounding area is lovely with restaurants all along the beach front. The pool is gorgeous, we had a lovely trip!